Have you heard of Golden Rock? 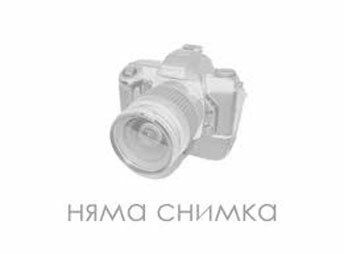 Have you heard of "Golden Rock"? It is located in Burma, and on it was built "Kiayktio Pagoda" - one of the most important places of pilgrimage for Buddhists. Stone, popular as "Golden Rock" has received this honor because the pilgrims who come here bring with them a thin gold sheets that stick to the rock. 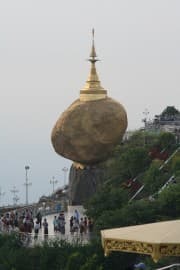 Legend tells that the "Golden Rock" does not fall off the cliff because it relies on a lock of hair of the Buddha, who himself gave the hermit brought him to the king. The king should put him in a rock-shaped head. King found a huge rock at the bottom of the sea, which with the help of god managed to pull out. The king built the "Pagoda Kiayktio" and the boat, which transported the rock turned into stone. Every year thousands of tourists come here and pilgrims, as a curious fact is that women are not allowed to touch the rock, only men can stick gold leaf.